Working as electricians Aylesbury for numerous years, we work in both residential and commercial environments. Whether you need a simple light replacement, or an entire home rewire, our electricians are all qualified and have undergone extensive training to become fully qualified electricians. With our vast amount of experience and dedication to our customers, we are guaranteed to provide attentive, outstanding services. As electricians we understand the importance of having sufficient home wiring and electrical components, this is often forgotten about, which is why we strive to provide exceptional services to all of our clients. Offering a variety of electrical services Aylesbury, we can help both homeowners and commercial properties or businesses through their electrical crisis. Ranging from large scale jobs like entire property inspections to simplistic home and garden lighting installations, there is no job too big or too small for the Homepower team. Although we offer an assorted set of services to our customers, we believe in providing a service that is both affordable, and guaranteed to be carried out effectively. It’s important to us that our customers know they’re in safe hands, which is why we have a variety of accreditations such as NICEIC and CEF to ensure that we have adequate understanding and knowledge to carry out important electrical works. Not only this, but leaving electrical issues to linger in your home or business is a hazard, and you could be putting your friends, family or staff in danger. 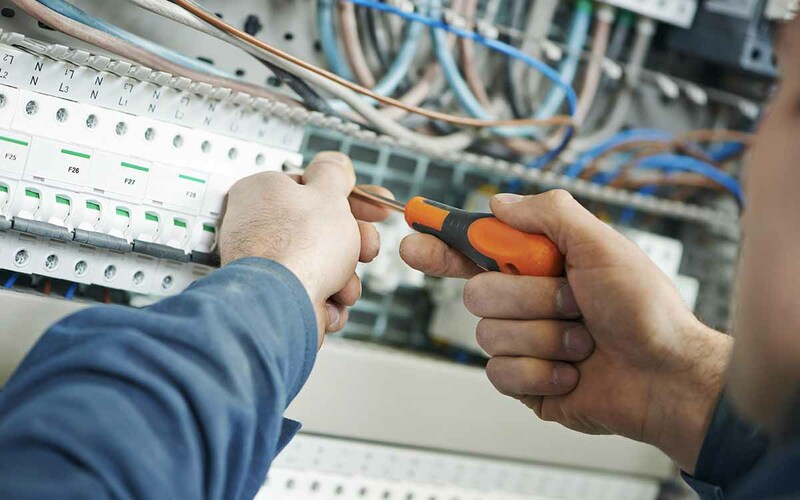 Rewires Aylesbury guarantee that your homes electrical wiring is in a safe working order, meaning that all electrical components can run efficiently. Your consumer unit is responsible for electricity entering your home, consumer unit upgrades Aylesbury prevent any faults or defects arising. If you’ve recently extended your home, it’s important that all of the wiring is installed correctly, we provide home extension electrics Aylesbury to ensure this is possible. As electrics become faulty and deteriorate, periodic inspections Aylesbury are necessary to detect any issues that go against electrical safety standards. © 2019 Home Power. Company Number 09390464.